As we discussed in July 2017, Timberline Helicopters, Inc. has been involved in ongoing litigation regarding the Department of the Interior, Bureau of Land Management’s (a.k.a. “BLM”) procurement of helicopter flight services to aid in fire-fighting and fire-suppression missions, services essential now more than ever. Most recently, in Timberline Helicopters, Inc. v. United States, No. 18-1474C (Fed. Cl. Nov. 14, 2018), the Court of Federal Claims held that Timberline no longer had standing to bring its claims. An agency ordinarily enjoys very broad discretion in its procurement-related decisions. This includes whether an agency will award a contract or, instead, cancel a procurement. Broad as this discretion is, however, an agency does not have carte blanche to cancel a procurement on a whim. As a recent Court of Federal Claims decision shows, an agency must support its decision with sufficient information, lest the cancellation decision itself be successfully protested. GAO’s outcome prediction alternative dispute resolution (“ADR”) can be a tempting option for all parties to a protest, as it provides a preview of sorts for GAO’s written decision. A recent GAO decision, however, underscores that despite its relative informality, outcome prediction ADR can have significant repercussions on future protest developments. An 8(a) joint venture agreement was ambiguous about whether the joint venturers intended to create a populated joint venture (which is no longer allowed) or an unpopulated joint venture–and the ambiguity cost the joint venture an 8(a) set-aside contract. In a recent decision, the U.S. Court of Federal Claims upheld the SBA’s decision to reject a joint venture agreement that was ambiguous about whether the joint venture was populated or unpopulated. When we write about bid protest decisions on SmallGovCon, odds are that we’re writing about a GAO decision. For good reason: GAO is the most common forum protesters bring bid protests. But SmallGovCon readers also know there’s another possible forum for protests: the Court of Federal Claims. The GAO publishes an annual bid protest report with statistics about the number and effectiveness rate of protests, among other things. But until very recently, we didn’t have much hard data about the frequency and efficacy of COFC protests. The recently-released RAND bid protest report changed that, by including a deep dive on DoD bid protests at COFC. 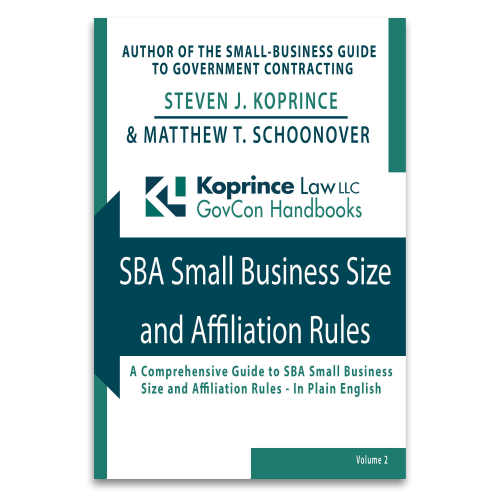 The Court of Federal Claims recently issued an opinion that defines “unconditional ownership” of an SDVOSB in a more relaxed manner than the SBA, creating a split of authority on the issue. The Court, rejecting SBA precedent, held that certain restrictions on ownership of an SDVOSB by a service-disabled veteran are acceptable under the SBA’s unconditional ownership regulations. In particular, the SDVOSB company can retain a right of first refusal that would allow it to purchase the shares of the veteran upon death, incompetency, or insolvency, and that right does not result in a violation of the unconditional ownership requirement. With the Court and the SBA’s administrative judges staking out different positions, what should SDVOSBs do? A contractor could not file a valid bid protest challenging an agency’s decision to terminate the contractor’s task order, according to the U.S. Court of Federal Claims. 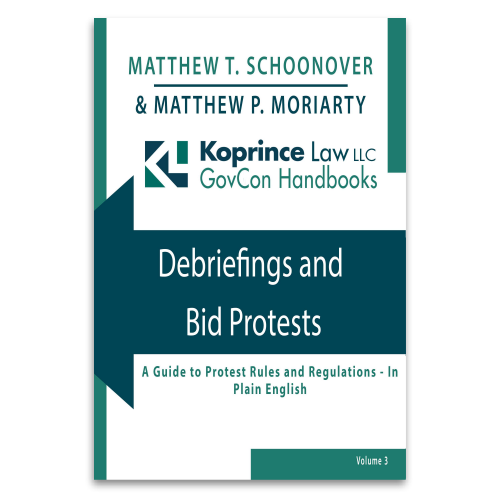 In a recent decision, the Court agreed with the GAO, which also held that the contractor’s challenge involved a matter of contract administration–something outside the bid protest process.